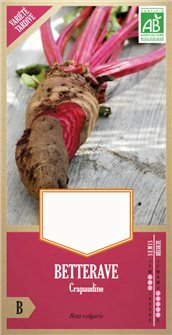 Crapaudine beet seeds, characterised by the appearance of black, wrinkled skin that is similar to that of a winter radish. 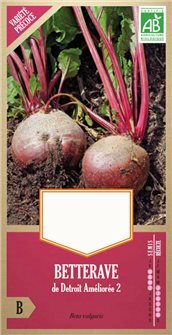 Detroit 2 beetroot seeds, tender flesh, dark red with abundant juice for harvesting in summer and autumn. This variety does not assimilate many nitrates. Packet weighing 2.6 g.